Norm Hansell’s No. 357 team was the center of attention last Friday at Big Diamond (Pa.) Speedway before and after the running of the Coalcracker 100 for different reasons. 358-Modified circuit that DIRT Hall of Fame driver Frank Cozze had parted ways with the team following the Aug. 30 NASCAR Whelen All-American Series 358-Modified racing program at Grandview (Pa.) Speedway. While no official comment was released by either party, attendees were quick to check out the Hansell Motorsports pit area last Friday night prior to the start of the Coalcracker festivities. Indeed, Hansell did have a pair of Morrison-powered Troyer cars at Big Diamond last Friday night and neither were piloted by Cozze, the Wind Gap, Pa., star who had been Hansell’s weekly Friday and Saturday driver at Big Diamond since the start of the 2013 season. Cozze had replaced Jeff Strunk in the car for the ’13 campaign in a late off season announcement. Instead, Cozze was further down in the pit area driving an Ed and Karen Nowotarski-owned No. 11 Eastern Rigging ride towed to the track by his friend Tom Umbenhauer. 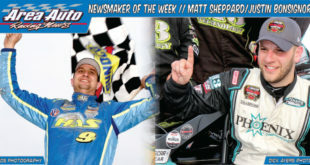 Meanwhile, New York superstar Matt Sheppard – who has driven in a number of special events this year for Hansell – occupied the seat of the primary No. 357 car, while Pennsy driver Mike Gular picked up the ride in the second No. 357, identified by a letter ‘X’ on its quarter panels. Previously, for the last two Saturday night shows at Grandview, King Ferry, N.Y., rising star Mike Mahaney had been running as a teammate to Cozze for the Hansell team. Earlier this year, Stewart Friesen had driven the car at Big Diamond Speedway on Fridays. He also piloted the car to Victory Lane in Grandview Speedway’s opener in a rare April Saturday free on his schedule. Confused yet? Here is the breakdown. 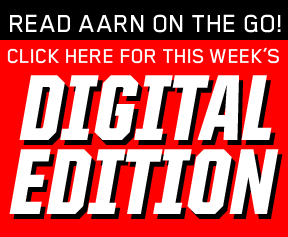 Midway through the season, with the local 360 Sprint Car schedule picking up close to his Sprakers, N.Y., home and a wedding to plan (he and fiancee Jessica Zemken wed last Thursday, Sept. 4), Friesen amicably parted ways with the team. Mahaney, the I-88 (N.Y.) Speedway champion a year ago and one of the most promising young drivers in Central New York, had been running weekly at I-88, Thunder Mountain (N.Y.) and Utica-Rome (N.Y.) speedways this season. He had won races at all three venues. 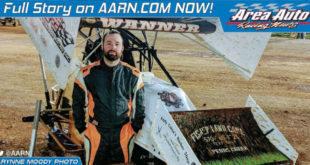 After a tough stretch in late July and early August, Mahaney had fallen out of the championship battle at Thunder Mountain, where he had raced regularly on Saturday nights all summer. As such, he obliged to make some late-season Saturday starts at Grandview for Norm Hansell, who was looking to run a second car in the rich $25,000 Freedom 76 at Grandview Speedway this Saturday (Sept. 13). Mahaney was looking to get track time at the tough one-thirdmile facility in preparation for the year-end event. He will be in the car this Saturday at Grandview in an attempt to make his mark on the spectacular event. Cozze, meanwhile, had driven for Hansell all summer at Big D and Grandview as he did in ‘13. He did reach Victory Lane at Big Diamond, but had struggled for results at both venues for most of the season. On Aug. 30, after finishing a dismal 26th in Grandview’s main event, Cozze let Hansell crew chief Jay Thomas know he would no longer drive the car. Royersford, Pa.-area businessman Hansell, who enjoyed working with Cozze, said they hadn’t spoken since he opted to forego the remainder of the season. Hansell, as such, needed a driver for the Coalcracker event which was scheduled for the next night, Aug. 31, at Big Diamond. Both Sheppard and Mahaney are regulars at Utica-Rome, where the season point battle was scheduled to end on that Sunday. As such, Hansell, with Cozze out of the car, had no one lined up to drive in the $10,000-to-win Coalcracker the next day. As such, an 11th-hour phone call was placed to Gular, a longtime Grandview performer and former Penn Can (Pa.) Speedway, to hop aboard the car for the Coalcracker. Ultimately, rain nixed the Coalcracker at Diamond. Track promoter Jake Smulley rescheduled the special for last Friday (Sept.
As such, Sheppard’s schedule was clear. He was slated to race a Super DIRTcar Series big-block event in Quebec on Saturday, with nothing on the Friday docket. Sheppard, along with girlfriend Bethanne, made the long drive to Big Diamond a winning one (see story below). Since Gular had been already promised a seat (he races exclusively at Grandview for car owner Jim Reid), Hansell fielded two cars in Friday’s event. Unfortunately for Gular, a solid consolation drive ended when contact from behind sent him spinning from a transfer spot. He was unable to make the Coalcracker field. Cozze, meanwhile, endured a trying night. A poor number set him deep in his heat-race. After being involved in tangles, he wasn’t able to make the feature field. Cozze got the nod to drive for Eastern Rigging through Umbenhauer, who developed a friendshipwith Cozze over recent seasons. Umbenhauer maintained the Rick Clay No. 88C big-block that Cozze had run in special events this season, as well. Hansell said he has begun his search for a full-time driver for the ’15 season at his Pennsylvania home tracks. He said Sheppard plans to return to run special events for the team in the Penn-Jersey area and New York’s Southern Tier when scheduling allows. event, worth more than $10,000! Sheppard, in winning, was able to pass one of the track’s most successful drivers in history: Duane Howard. Sheppard lined up fourth on the grid in Hansell’s Troyer car and drove to second by turn two on the opening lap behind pole starter Kevin Albert Jr.
Sheppard drove to the lead, past Albert, with 10 laps complete. This was no easy drive, however. On a lap-14 double-file restart, Lebanon, Pa.’s Albert took the top spot back in his No. 3A, using the outside lane. Howard, driving Glenn Hyneman’s No. 126, slipped past into second. At that point, Sheppard had fallen to third. It wasn’t until lap 41 that Sheppard was able to clear Albert. Then, he began his pursuit of race-leading Howard. Following a final caution on lap 54, Sheppard used a unique line – the extreme outside in turns three and four – and the inside of turns one and two. After relentlessly pursuing Howard, he made the winning move exiting the second turn on lap 63. Slight contact ensued as Sheppard forged ahead off turn two. 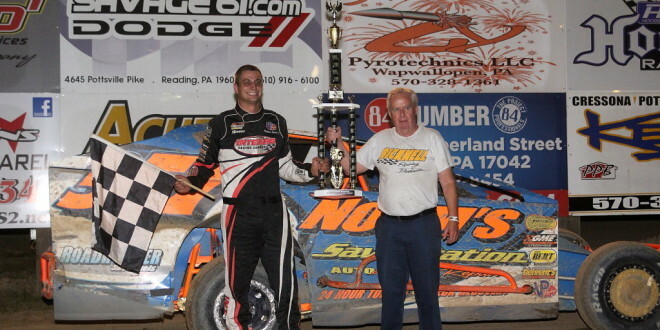 Once out front, ‘Super Matt’ pulled away for his first-ever visit to Big Diamond Victory Lane. Sheppard felt his car improved as laps went on. triumph in front of the crowd. 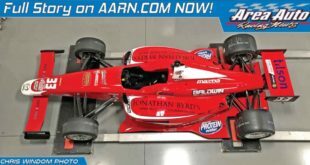 Sheppard has found a niche with Hansell’s Pennsy team in addition to the New York-based Heinke Baldwin Racing. 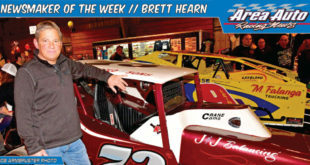 He won a 100-lap event at Five Mile Point (N.Y.) Speedway this spring and triumphed in his debut at Thunder Mountain (N.Y.) Speedway during the May ‘Lightning on the Mountain Special’ 50-lapper. At Diamond, Five Mile and Thunder Mountain alone, Sheppard and Hansell have combined to earn more than $20,000! And there have been top-five finishes in several other special events along the way. 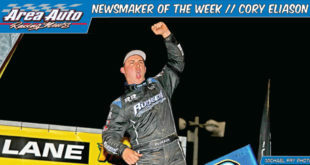 Sheppard has now won 21 Modified races at 10 different tracks this season while earning championships at N.Y.’s Brewerton and Canandaigua speedways. But he ranks his Coalcracker victory at the top. “This is my biggest win all year so far,” he said. Sheppard and girlfriend Bethanne left Big Diamond after midnight with a destination of the Heinke-Baldwin Racing shop in Weedsport, N.Y. Crew member Anthony “Gilly” Salerno was to drive the HBR hailer to Autodrome Granby in Quebec while Sheppard caught up on sleep. Ultimately, rain nixed the Granby event, so Saturday was off. Sheppard would seem an ideal candidate to drive for Hansell in Saturday’s $25,000-to-win Freedom 76. However, the Super DIRTcar Series will be in competition at Mohawk International Speedway in Hogansburg, N.Y., meaning he is unavailable. football, a respectable crowd filled Big Diamond’s grandstands, while 44 small-block Modifieds signed in. The Hoosier-only tire rule was lifted for this event, with American Racer tires prevalent in the pit area. Ryan Godown charged from 15th starting position to finish third in the Coalcracker driving Bill Hewlett’s No. 901. The Ringoes, N.J., driver felt he might have been a contender for victory if he had more gear in the car. “I needed about 15 more points of gear,” noted Godown, who won an early season event at Diamond in his John Chemidlin backed No. 747…. Rick Laubach won his first Big Diamond point title in 2014 for the Gary Spotts-Earl Fellin No. 91 operation. The Quakertown, Pa., driver now has championships at Big D, New Egypt (N.J., two) and Bridgeport (N.J., one) speedways, in addition to a trio of Tri-Track Titles involving Georgetown (Del. ), New Egypt and Bridgeport. Laubach was pleased with his ’14 campaign at Big D.
“We had a really good year here,” he said…. Like Laubach, Doug Manmiller – the ’12 Coalcracker winner –was a come-from-behind top-five finisher. Manmiller, who started 10th, was collected in a lap-one tangle in turn one. He survived another half-spin to rally for fifth driving Josh Biever’s No. 46. Manmiller is ride-hunting for the ’15 Pennsy season. Car owner Biever has announced he will be exiting the sport at the end of the year…. Craig Von Dohren started third in the Coalcracker event driving an Eastern Rigging No. 11 reserved for special events. However, the Oley, Pa., driver backslid outside the top-10 during the race’s first half. As such, he opted to pit during the lap-40 fuel stop. He drove back through the field to finish a respectable sixth. Von Dohren said the Big Diamond regulars were almost at a home-track disadvantage for the Coalcracker. “You look at a guy like Matt Sheppard who wins 100-lap races all the time,” he said. “He ran a smart race. As an outsider, you come in here and do that. The guys who race here on Friday nights, we’re all used to charging to the front as quick as we can because whoever gets there first usually holds on to win. “It wasn’t like that tonight.”…. A number of drivers headed to the pits to work on their cars during the lap-40 break: among them Billy Pauch, Ryan Anderson, Tim Buckwalter and more. According to officials, they needed to wait until the fuel stop was complete to duck in the pits (at which point they were given three full caution laps for tire changes, etc.). cars to duck into the pit area and restart from the rear…. 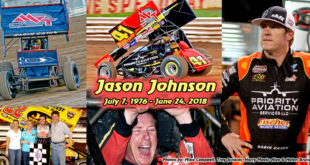 TAKE THREE FOR WADE DECKER MEMORIAL: Twice postponed by rain, the MjH Oilfield Wade Decker Memorial “take three” is set for this Sunday (Sept. 14) at Thunder Mountain Speedway. The big-block/small-block Modifieds headline the Wade Decker Memorial with a 50-lap event paying $5,000 to the winner (with $25 “Gambler’s Fee” posted, $3,500 without) and $250 to take the green flag. The Sportsman will run a 40-lap main with a hefty $1,250 winner’s share (with $20 “Gambler’s Fee” posted, $750 without) and $100 to take the green and the Street Stocks will take part in a 30-lap feature paying $1,000 to the winner (with $15 “Gambler’s Fee” posted, $750 without) and $120 to take the green, honoring Denny Decker. The Street Stock portion of the program has support from Cartrette Logging. Doug Borger’s XCel 600 Modifieds are also on the card for the special event with a touring series 20-lap main. All divisions will draw for their starting positions with a redraw of top qualifiers for the main events. Wade Decker tragically lost his life on Dec. 5, 2011 in a logging accident. He was just 37 years old. The Decker family has worked to raise money for the second running of the Wade Decker Memorial event. 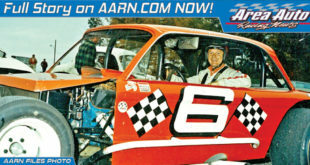 The first event was run in 2012 at I-88 Speedway in Afton, N.Y. Pat Ward of Genoa, N.Y., was the inaugural event winner. Aside from the posted purses, a number of special incentives have been set up for the event.